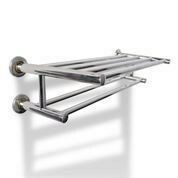 It’s time to get organised this year with these amazing towel rails from MyDeal. 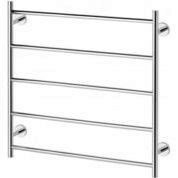 Our range includes products made for every style and budget. If you’re renovating your bathroom, or you’re in need of some storage space, we’ve got it for you. 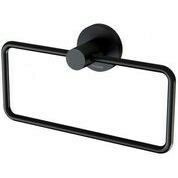 Our bathroom towel rails range comes in different colours and materials, from matte black to chrome. 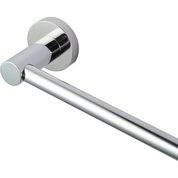 We also range in shapes and sizes, so you’ll find the perfect product for your bathroom needs. 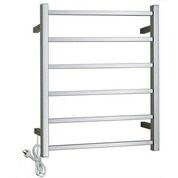 The products available online are easy to install and excellent quality, with some products offering up to 7 years warranty. 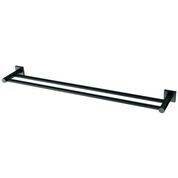 We offer a variety of single rail, wall ladder and double shelf accessories for your bathroom, as well as amazing quality and affordable prices. We offer so many different styles and designs, there’s something for everyone at MyDeal. Never Run Out Of Space Again! When your order with MyDeal, you will never have to worry about picking up your items. We will deliver your goods right to your door, and with our fast delivery service, your items will be ready to go in no time! If you’re curious about our bathroom accessories or you just have a general enquiry about MyDeal, please give our friendly customer service team a call on (03) 9998 6805, or contact us through an online form.